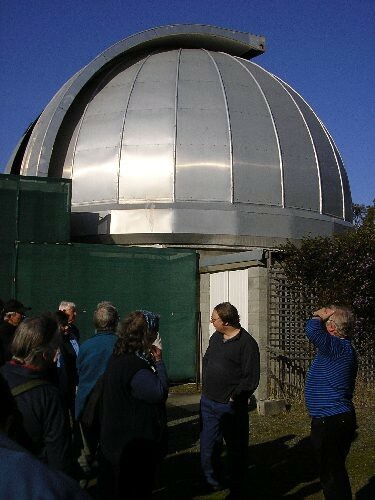 Waiting outside the observatory dome, with our host Stefan Dieters at centre. 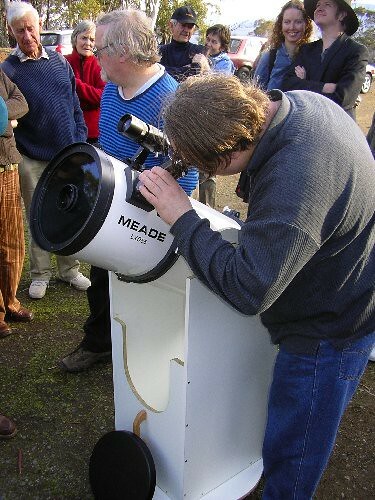 Stefan is a physicist at the University of Tasmania, specialising in optical and x-ray astronomy. 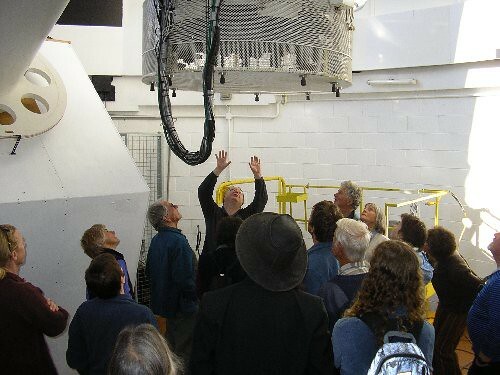 Explaining the mirror at the bottom of the telescope tube. 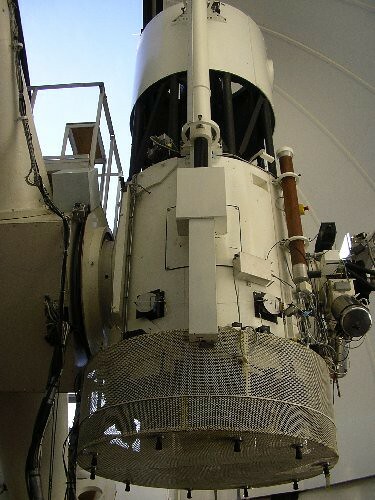 The 1 metre 'folded Cassegrain' telescope. 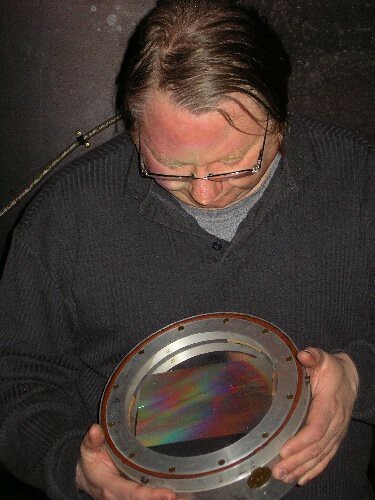 Showing us a diffraction grating used for spectroscopy. Outside with a 10 inch reflector. 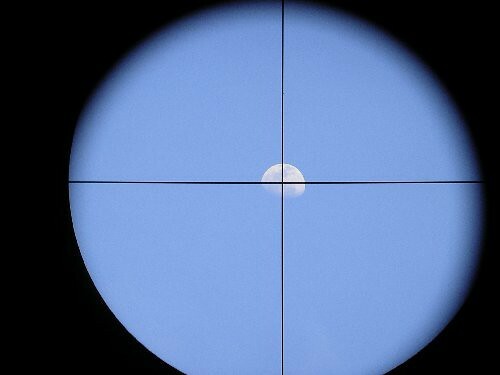 A quick snap of the moon through the aiming scope on the side of the 10 inch reflector.